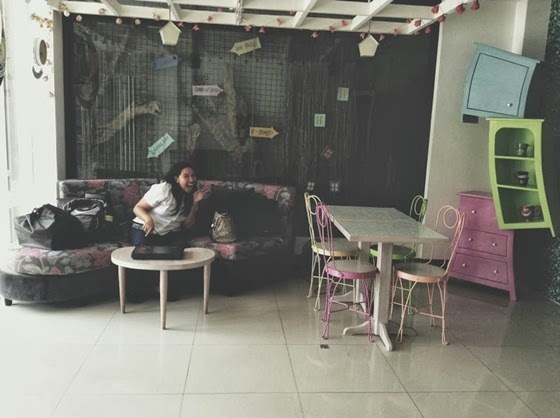 I've been meaning to blog about this cafe but because time is too luxurious for me to own and due to the fact that I have tons of requirements to finish, I only have today to blog. I was supposed to do a fashion related post but because I'm loving this place too much, I'm giving it top priority on my list of queued posts just to give my utmost support to the new establishment. 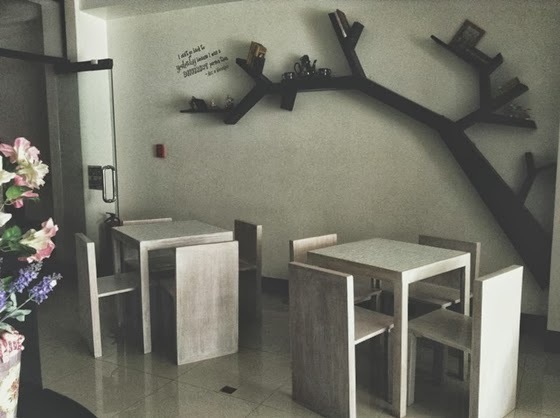 After seeing this cafe's store design, you'll definitely would want to go right away! 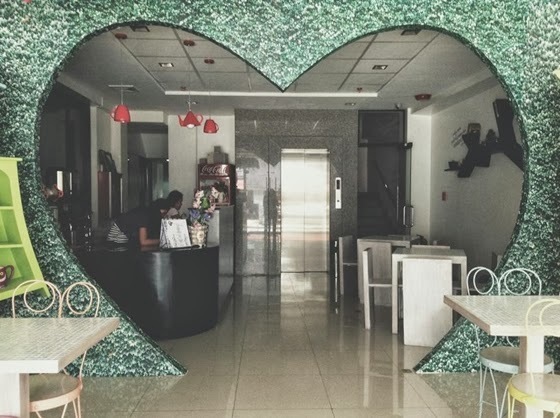 When you enter the cafe, you'll be awed by this huge heart cut-out which you'll be passing through as you order your food. 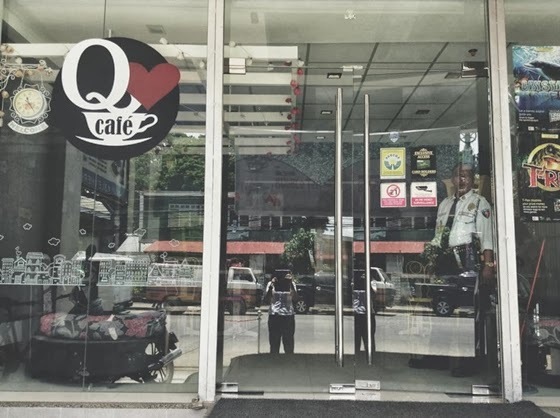 When I saw a sneak peek photo where they featured this heart cut-out, I immediately wanted to go to Qhearts! 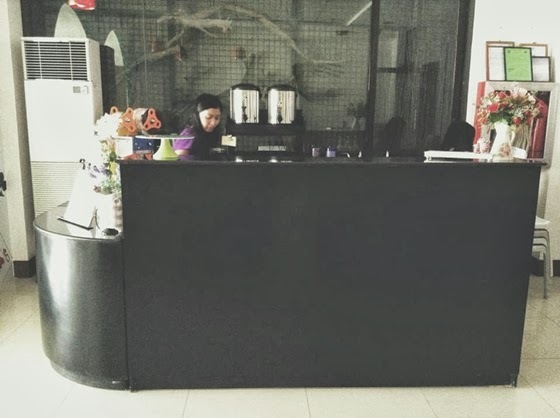 Below are more photos of shop's interior design. Try and check out their funky and preppy furniture! I'm sorry but, were you stunned by that witch? 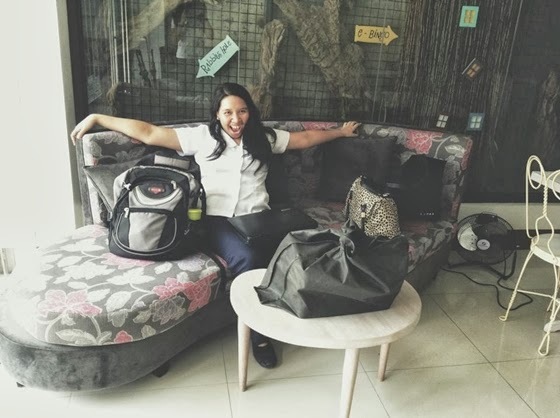 Forgive my friend's pose and smile and, uhm, existence? haha. Love you buddy-bud! Oh yeah, you guys might wanna try their Taro and Choco Malt Drink. Their Taro Milk tea is the best which I've tasted so far! Oh, and be blown away by the price. Price starts at P50.00! The Taro Milk tea already has egg pudding in it for P50.00! No need for add ons, unless you really want to add more. THAT! THAT SPACE IS MY SPACE! Just kidding! 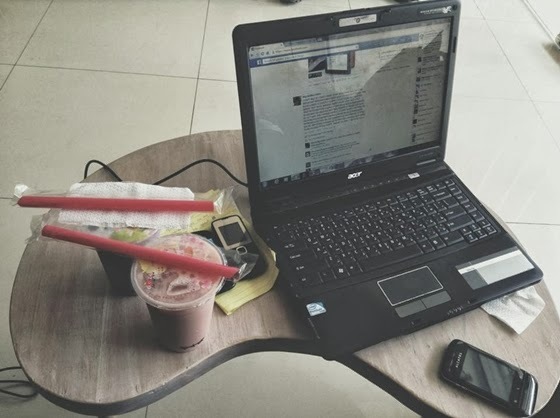 But honestly, that spot is the best spot to study or just plainly chill while enjoying a cup of Taro Milk tea to kill the time and free the stress away! 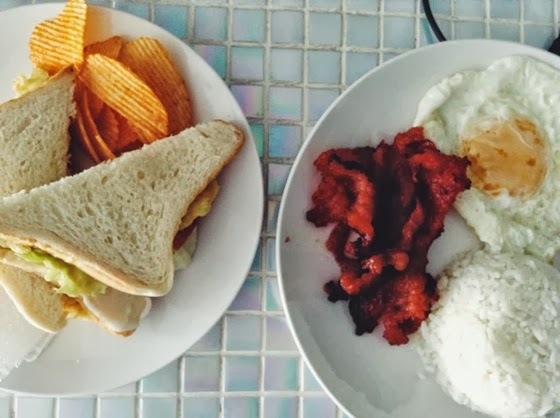 They also serve yummy meals to fill your stomach! Try their Ham and Cheese sandwich for starters! 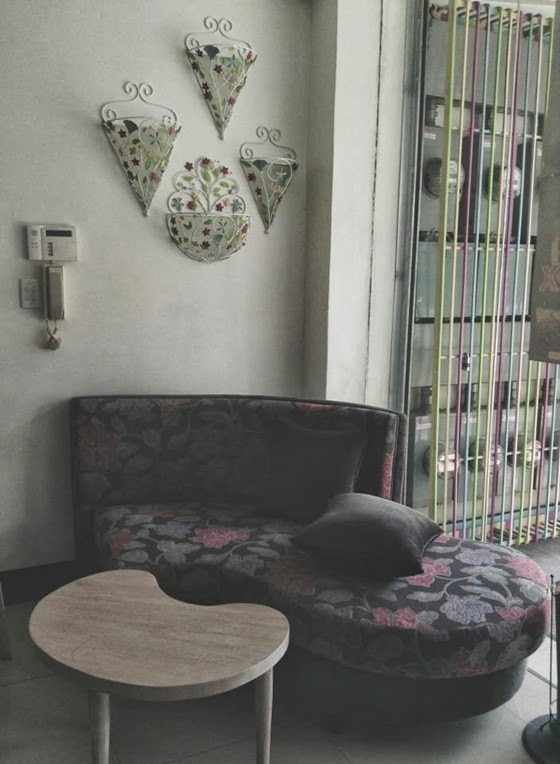 It amazes me how creative it is for the owner to come up with a design which is really new to the customers, especially CDO customers. There aren't many tea shops in town that has a distinct theme like the Cat Cafe in Korea (which I totally love, by the way!) 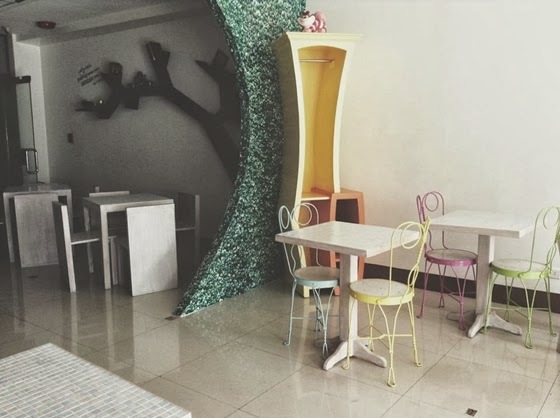 and I'm impressed that the owner thought of an Alice in Wonderland theme. Yes, I know, it really isn't clear on my photos regarding their Alice in Wonderland theme, that's because I'm still gonna blog about this Cafe soon! I've seen some cute alterations and I thought of sharing it to you guys soon. I'll bring my camera with me to give you guys a clearer view. 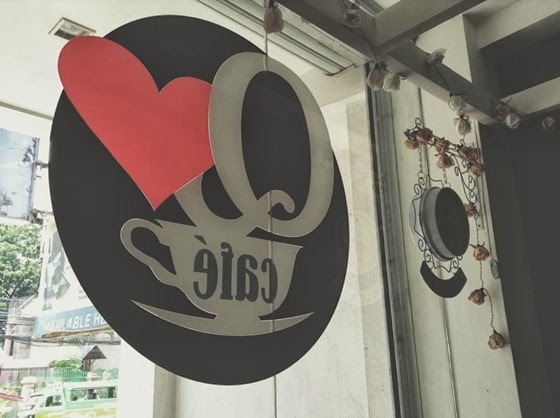 Their shop is beside Alfe commercial and is facing Pelaez Sports Center. They usually open around 11am.